At least with Burial at Sea this influence has actually be outwardly acknowledged by the developers. 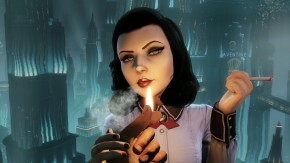 Burial at Sea shows this influence the most definitively since you are in fact a detective with the beautiful femme fatale Elizabeth walks into Booker's office. Granted since anyone playing the DLC will already know that Elizabeth isn't who she appears to be, but even for those who have never played the game the signs are clear. The use of lighting and the cigarettes, she has a sense of innocence in the way she dresses and even speaks but her eyes and tone betray a sense of danger and even seduction (even if that is a little weird given the context.) Even the job he's given seems straight forward enough but leads him into a much grander scheme where the world itself seems to be entirely set against him. Now having seen some of these films and explored the genre in general I feel as though I have a much greater appreciation for everything that is actually happening in the games. The Bioshock series will forever be one of my favorite series so anything that allows me to explore it more deeply is always appreciated. 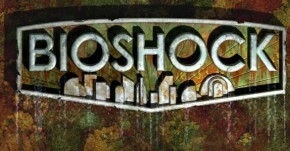 If you haven't played Bioshock yet I highly recommend you check it out. You won't be disappointed.